Worst & The Best Supercar Replicas! - Muscle Cars Zone! Worst & The Best Supercar Replicas! In these recent couple of years, we are witnessing an ever-growing trend of manufacturers developing and making supercar replicas in just fraction of what the real car costs. This is due to the fact that not everyone can afford a supercar, yet they want to own a piece of the current trends in the car industry. If we are about to say a word or two for these supercar replicas, we can definitely say that there are some which you could not tell the difference whether it is a real one or fake, and on the other hand there are some awful replicas that look absolutely devastating. In the following compilation, we take a look at such cars, and you be the judge and say which are the best and which is the worst supercar replicas. This compilation has a little bit from everything. We can see replicas from the Bugatti Veyron, the Lamborghini Aventador, Porsche 918, and McLaren F1 etc. 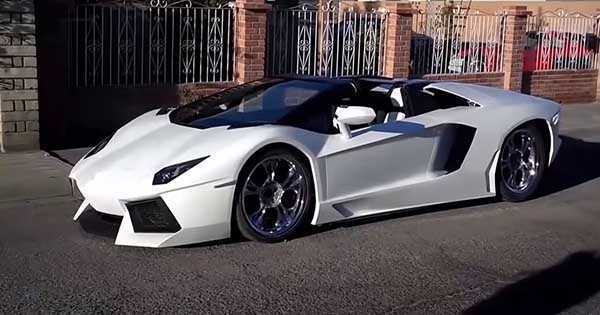 We can clearly say that these cars are actually some of the most expensive ones to buy right now, but these people had something else in mind. At the beginning of the video we see a horrible replica of the Bugatti Veyron. It is so bad that the people filming it from another car have a good laugh at him. Yet there is another replica which is just perfect. You could not tell if it is the real one or a fake. Check the video for more and see the full compilation! Finally, we give you the best 20 replicas out there!